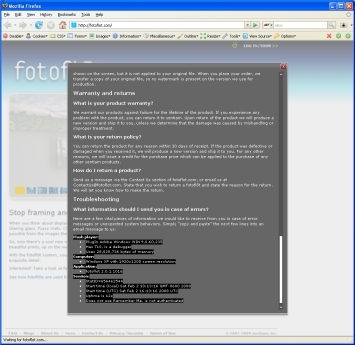 We have put a lot of effort into fotoflot.com and every release is thoroughly tested. But there are so many factors out of our control (such as computers, operating systems, browsers, Flash versions, Internet Service Providers, firewalls, proxies, …) and sometimes, something can go wrong. Please drop us a note if you see anything that does not seem quite right. It would be extremely helpful if we received some support information in addition to your problem description. Support information can be found in the FAQ section that you can reach from the page footer. 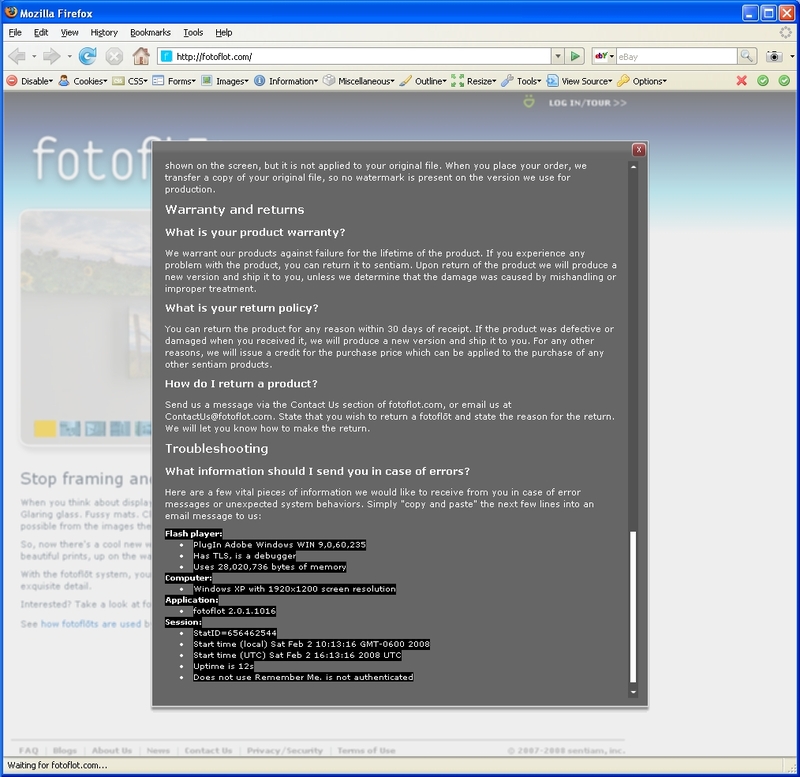 Simply scroll all the way to the bottom and copy and paste the support information into an email to us at ContactUs@fotoflot.com or a message from the contact form above.